What is the historical foundation of truth-telling as a human rights strategy? How is truth-telling compatible yet also at odds with the quest for justice? What work is done by “truth” in a framework of existing power relationships? 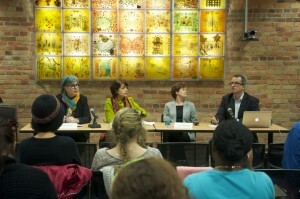 How do race, gender, economic circumstance and ethnicity change the concept of truth? How has transitional justice evolved over the last 30 years since the Nunca Más report? Can contemporary transitional justice successfully balance the global and the local? 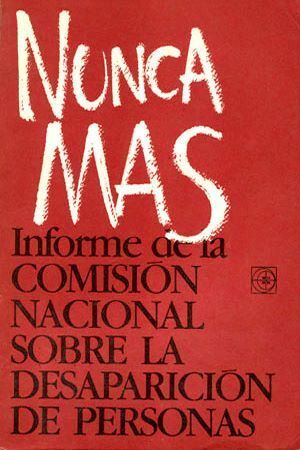 For the 2014-2015 academic year, the DHRC@FHI is leading the series Commissioning Truths: 30 Years after Nunca Más, a critical examination of the history and practice of commissioning truths pioneered by the “Nunca Más” report, which documented abuses committed by Argentina’s security forces during the military dictatorship of 1976-1983. 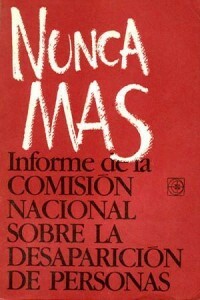 “Nunca Más” confirmed the forced disappearance of 8,961 persons, estimating that the actual number could be much higher, that death squads operating with government support executed almost 500 people, and that over 300 secret detention centers operated as torture and death camps during the Dirty War. The report dramatically and publically reasserted the power of fact-collection and memory for uncovering the killings and torture that largely took place in secret. 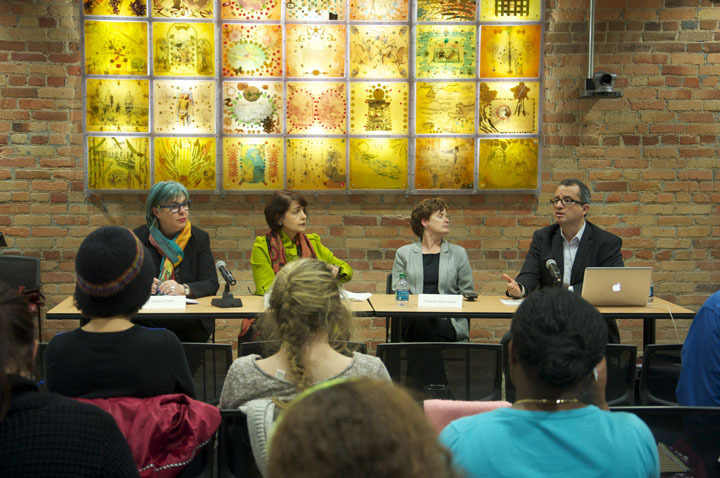 As political scientist Kathryn Sikkink has written, “Nunca Más” began a “justice cascade” and is a milestone for the modern human rights movement. “Argentine human rights activists were not just passive recipients of this justice cascade but instigators of multiple new human rights tactics and transitional justice mechanisms, including the trials of the juntas and the 1984 truth commission.” The emphasis in “Nunca Más” on fact-collection, accountability and memory have inspired human rights interventions in place as different as South Africa, where the Truth and Reconciliation Commission helped ease a transfer to democracy from apartheid; and Greensboro, North Carolina, site of the first US-based commission. Read the e-book that was created from this series, Commissioning Truths: Essays on the 30th Anniversary of Nunca Mas. Juan Mendez is an Argentine lawyer and former torture victim, former Americas Watch and ICTJ director and UN Special Rapporteur on Torture. He presented a talk on September 19th, 2014 titled “The Argentine Experience and the Emergence of a Universal Right to Truth.” Watch the video of his talk. Watch the talks and learn more about the speakers. Pamela Yates, Director and co-founder of Skylight Pictures, a company dedicated to creating films and digital media tools that advance awareness of human rights and the quest for justice by implementing multi-year outreach campaigns designed to engage, educate and activate social change. Her film, Granito: How to Nail a Dictator was used as forensic evidence in the Rios Montt genocide conviction in Guatemala. Learn more about the Q&A session on January 22nd. David Tolbert, Director of the ICTJ, has served Special Tribunals in Lebanon Cambodia and the former Yugoslavia. In addition Mr. Tolbert taught international law and human rights at the post-graduate level in the United Kingdom and practiced law for many years in the United States. Tolbert presented a talk titled “Is the International Community Abandoning the Fight Against Impunity?” on March 25th, 2015. Read the interview with Mr. Tolbert.